I'm really really excited about this! 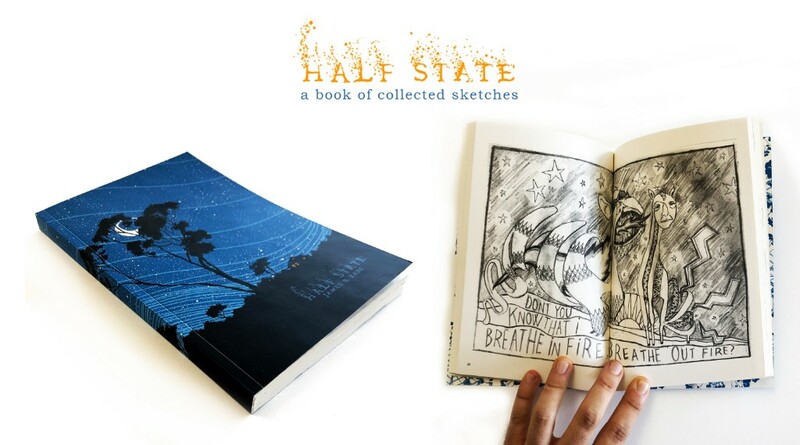 Half-State is a 160-page book of never before seen sketches and poems from 2006 - 2016 and is the first official art book I have produced. The book was assembled and designed here in the studio by Cal Tabuena-Frolli. We spent several months going over the sketches and perfecting the layout and incorporating poems and a full length interview. The cover was screenprinted in our studio. The outside is a three color screenprint with hand painted yellow windows and the interior is a two color screenprint. The inside pages of the books were produced at at Typecraft, a small publisher here in Los Angeles. Each book is hand signed and numbered on the inside cover page. These are printed in a one time limited edition of 500, once they are sold out they will not be reprinted! Each book also comes with a special 4" x 6" screenprint, available only with a purchase of the book. 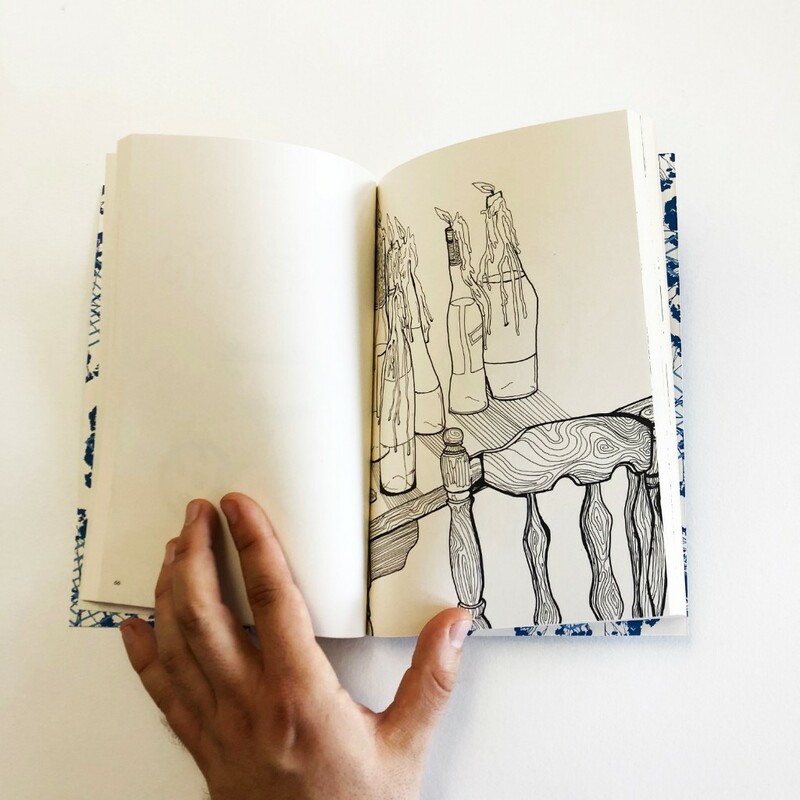 Our hope for these books is that they will be seen as an intimate look into the behind the scenes inspiration of prints and paintings that have since materialized into something more. You'll notice several sketches within Half-State that later ended up becoming fully realized works, like "Finding Alakazoo" and The Light Visions Tarot Deck. 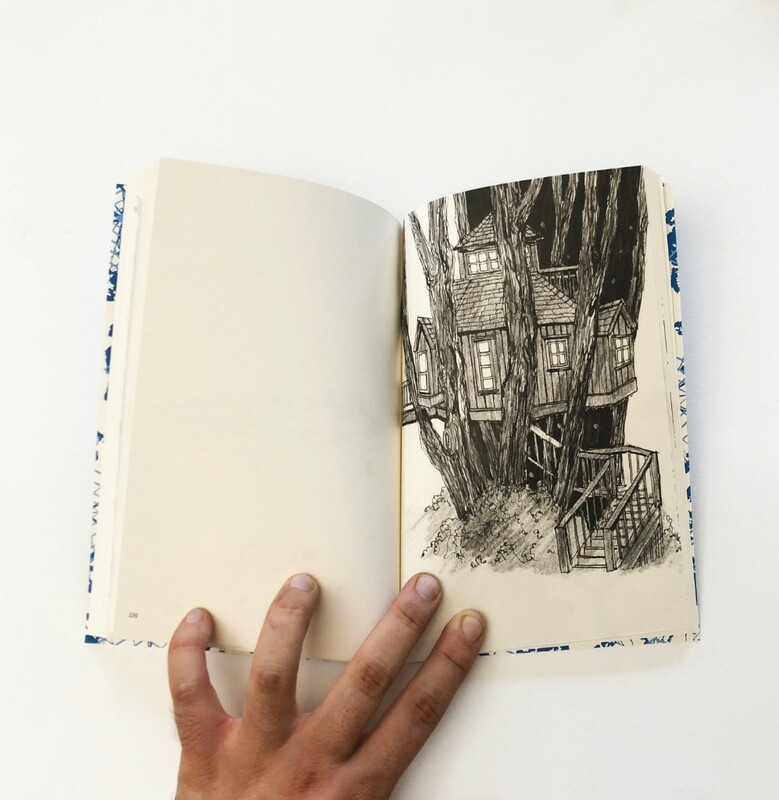 The high quality printing creates the feeling that you are holding an actual sketchbook of pencil drawings. 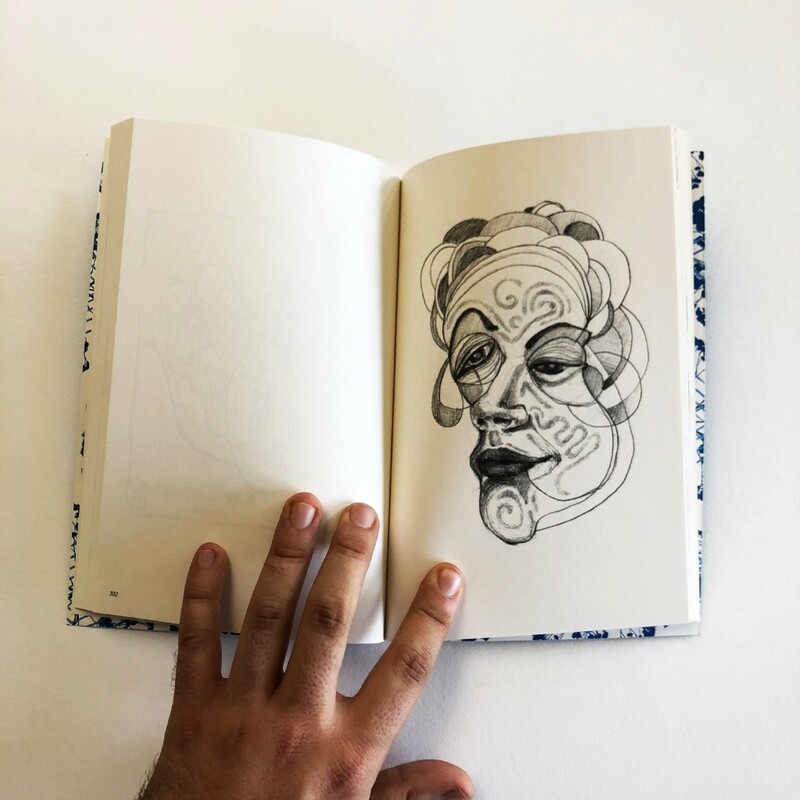 The book contains over 80 pages of content including collected black and white sketches, several poems and an exclusive interview with James R. Eads. 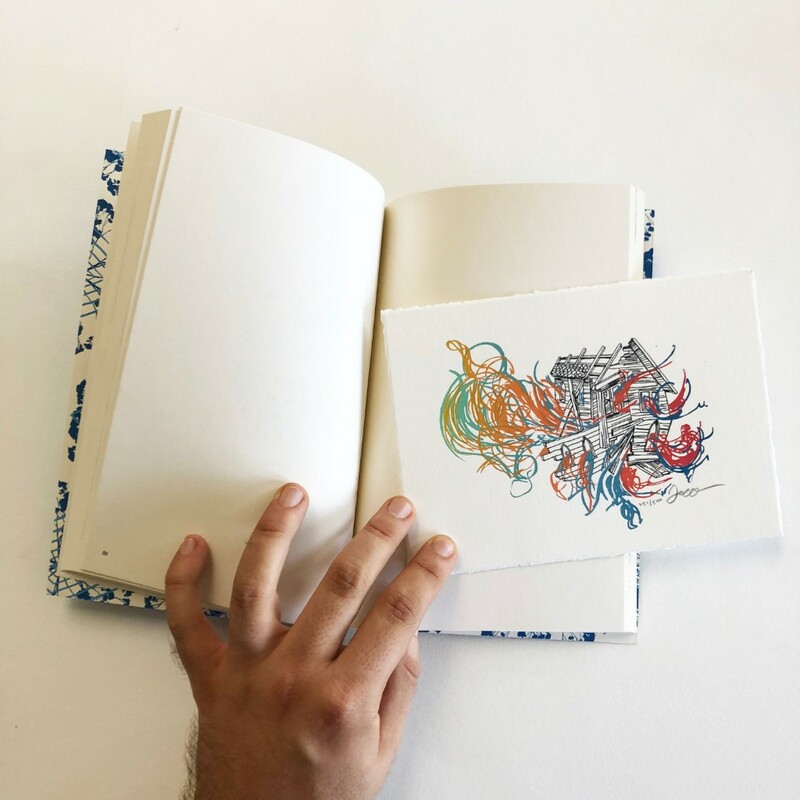 The book measures 5.5" x 8.5"
The outside cover is a three-color screen print and the interior cover is a two color screenprint, printed in our studio in Los Angeles. Inside pages printed by Typecraft in Pasadena. Limited edition of 500 signed and numbered on inside title page. The included screen print is a three-color double split fountain 4" x 6" print with deckled edges, hand-signed and numbered in an edition of 500. "11:43PM" is a 12" x 16" three color screenprint on Cougar Natural white 290 GSM paper with hand painted yellow windows. 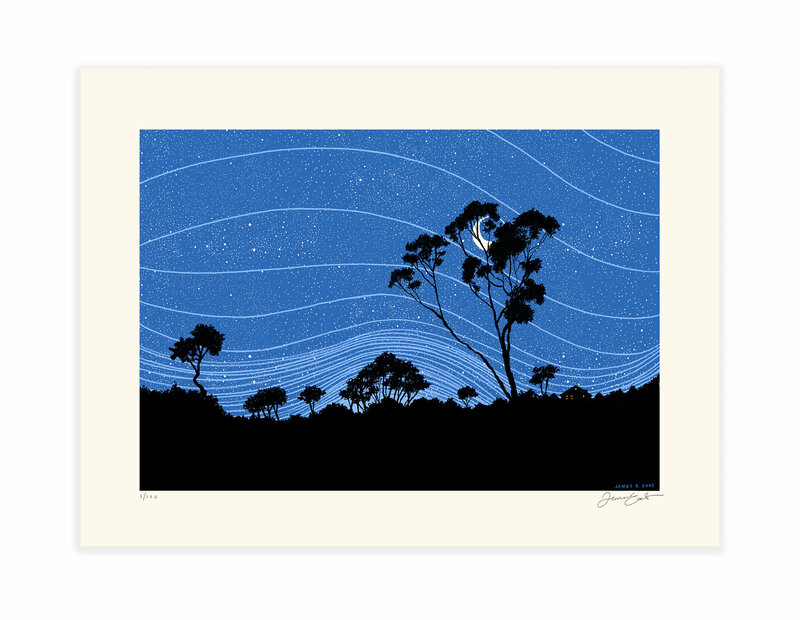 Prints are hand signed and numbered in a limited edition of 100.